Then one of the castle’s treasures, a fabulously jewelled dagger, is used to murder one of the staff members. The victim is found stabbed through the heart in the conservatory. But how can Jenny solve this case when the murder was committed in front of several reliable witnesses, none of whom saw a thing? This is the fourth in a series of enjoyable murder mysteries with a great cast of characters and baffling crimes which will keep you in suspense to the final page. But can Matt believe the serial killer or his peculiar wife to be? England's rural fenland is a strange place, with its never-ending fields, winding tracks, and long straight droves (the old livestock routes) that lead to nowhere. The lonely lanes are flanked either side by deep drainage ditches and are, for a good part of the year, filled with tall, whispering reeds. Closer to the Wash, high seabanks form a barrier between river and marsh, and the richly fertile soil of the drained land. But when the mists come down, as they so often do, perspective is destroyed and all sense of direction lost, and then the fens become a rather frightening place of mystery and danger. Somewhere that you do not want to be at night. DO YOU LOVE GRIPPING CRIME FICTION? 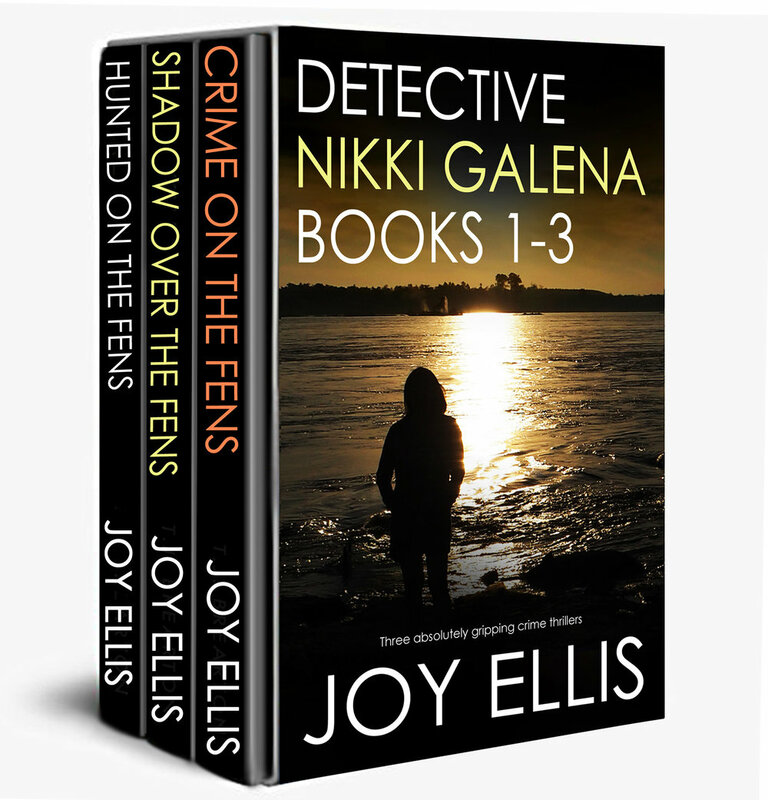 THEN MEET DETECTIVE NIKKI GALENA.FROM A GLOBALLY BEST-SELLING AUTHOR WHO HAS SOLD OVER 1.5 MILLION BOOKS. The town is being terrorised by gangs of violent thugs, all wearing identical hideous masks. Then a talented young female student goes missing on the marsh and Nikki and Joseph find themselves joining forces with a master criminal in their efforts to save her. They need to look behind the masks, but when they do, they find something more sinister and deadly than they ever expected . . .
A man is found executed on a piece of wasteland in Greenborough town. The cold-blooded murder triggers terrible memories for Detective Joseph Easter. Just when things seemed to be going well for DS Easter, he realises that the nightmare is coming back, threatening his career, his sanity, and maybe his life. In a breath-taking conclusion even Nikki begins to doubt DS Easter as he faces a race against time to save someone very close to him. A vicious criminal is targeting Detective Nikki Galena and her team. One by one he will hunt them down and destroy their lives, unless she can stop him first. A HUNT FOR A MISSING DOG LEADS TO A GRUESOME DISCOVERY DOWN A MINESHAFT..
Set in England in the early 70s, this is the fifth book to feature Inspector John Crow. More coming soon. He was a journalism student who told his friends he was working on a big story. His death leads the police on a false trail. Detective Rachel King investigates. She has a secret, the love of her life is a well-known villain. He has recently come back on the scene. But what does he really want? A student who thinks she has a long-lost brother. But even her own father doesn’t believe her. She was involved with the first victim. Perfect for fans of Angela Marsons, Kimberley Chambers, Damien Boyd, Rachel Abbott, Patricia Gibney or Mark Billingham.